Pictures: How Can I Prevent My Teen From Catching Meningitis? The bacteria and viruses that cause meningitis -- a disease that leads to inflammation in the brain and spinal cord -- can spread quickly through dorms and classrooms. 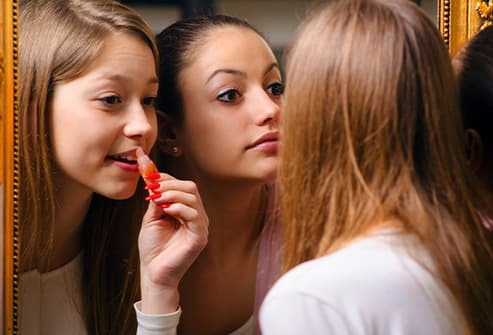 Teens can pass these germs by sharing personal items like glasses and utensils -- and by kissing. If you find out there's been a case of meningitis at your kid's school, keep calm. There are ways to prevent him from getting it. An easy way to prevent bacterial meningitis: Get a vaccine. There are different types. 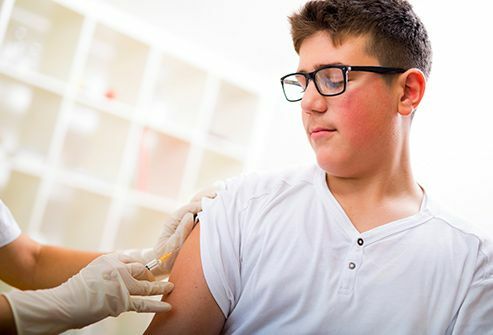 Kids usually get a shot of the meningococcal conjugate vaccine at age 11 or 12. Because protection fades with time, your teen needs a booster shot at 16 to cover him through college. Ask the doctor whether your child needs added protection from the meningococcal B vaccine, which he gets between 16 and 18. Meningitis germs spread through the air and on items an infected person has touched. 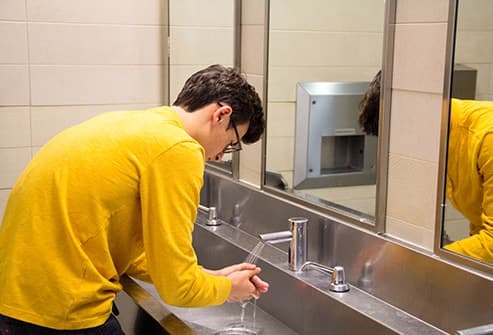 Those germs can catch a ride on your teen's hands and end up in his nose or mouth. Remind him to wash his hands with warm water and soap throughout the day. It's especially important after he uses the bathroom, before he eats, and after he's been around lots of people. You probably taught your kids to share when they were little, but this is one case where generosity is a bad idea. If she uses the same glass or fork as a friend, swaps lipstick, or borrows a toothbrush from someone who's sick, it's a sure way to get infected. Tell your teen to keep her own set of personal items and just say "no" to anyone who wants to use them. Meningitis germs live in the mouth and throat. So it's no surprise that an easy way to spread them is by kissing. Tell your teen not to get up close and personal with anyone he thinks is sick. Your teen's nose, mouth, and eyes are an easy entryway for the bacteria and viruses that cause meningitis. Tell your child to keep her hands off her face. Ask her not to bite her nails, rub her eyes, or pick her nose. Let's face it, most teens don't win awards for cleanliness. But let your child know that good cleaning habits can help keep her from getting sick. Although the bacteria that cause meningitis don't live long on surfaces, viruses can survive for a while. Kids can pick up these bugs if they touch an infected doorknob, computer mouse, or counter. Scrub surfaces often with a disinfectant wipe or spray to kill germs. 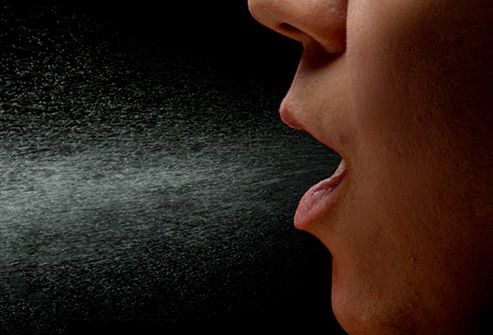 Every time an infected person coughs or sneezes, the force sends droplets with meningitis bacteria or viruses into the air. Anyone who's in the path of these flying germs can get infected. If your teen is sick -- no matter the cause -- tell her to be kind to others by coughing or sneezing into her sleeve or a tissue -- not into the air. 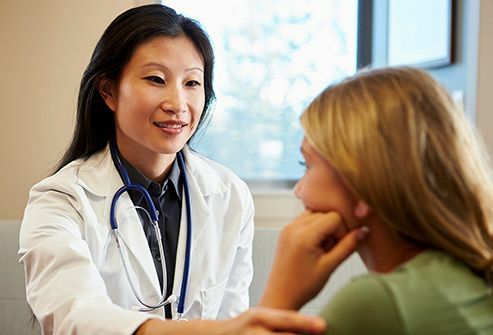 If your teen has been in contact with someone who has bacterial meningitis, antibiotics can help prevent her from getting sick. Check with your doctor. The drugs won't work for viral meningitis. You already know that when your teen misses out on a good night's sleep she's probably going to be groggy in class the next day. But not getting enough shut-eye also makes it harder for her body to fight off germs. Teens need 8 to 10 hours of sleep a night to feel their best. Encourage your child to cut off text messages and computer games at a reasonable hour each night so she can get the rest she needs. Teaching your kids to stay away from these bad habits is good advice for many reasons. One is that they weaken their body's immune system. Being around cigarette smoke raises your teen's chances of catching meningitis -- and of passing it to others. Alcohol use -- especially binge drinking -- also makes teens more likely to get meningitis and other infections. CDC: "Case file: Meningitis Mutants," "Meningococcal Vaccination for Preteens and Teens: Questions and Answers," "Teens at Risk of Meningitis," "Viral Meningitis." Child Mind Institute: "Why Are Teenagers So Sleep-Deprived?" 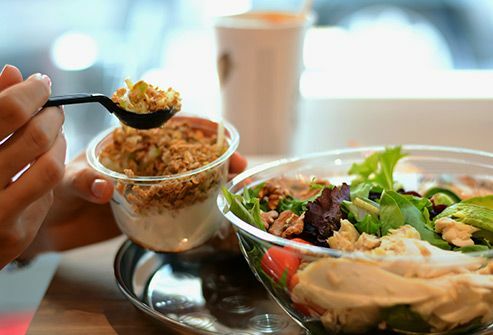 Cleveland Clinic: "Eat These Foods to Boost Your Immune System." Mayo Clinic: "Lack of sleep: Can it make you sick?" "Meningitis: Self-management." Meningitis Research Foundation: "Frequently asked questions," "Smokers at higher risk from meningitis." National Sleep Foundation: "Teens and Sleep." Princeton University: "Meningitis FAQ - General Information." Voices of Meningitis: "Bacterial Meningitis."